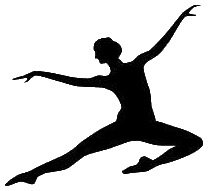 The Southern California Dance Theatre is a not for profit dance company founded in 1994 which seeks to involve the diverse community of the greater Long Beach area, especially youth, and exploring the many facets of dance productions and theater arts. With its main focus on dance performances, arts education, the Southern California Dance Theatre seeks to foster team spirit and provide individual roles that utilizes each person's strengths and talents. Furthermore, the company provides a springboard for professional performers to expand their craft by developing leadership opportunities through choreography, coaching, and back stage skills. By developing both life and art skill opportunities, the Southern California Dance Theatre seeks to nurture long lasting relationships among its members within the company and contribute in the creation of innovative new works and in preserving the rich culture of the great classical ballet productions.